In the spring of 2016, my wife ran her first 5 km race. Because it was her first time running such a race, she asked me to watch. I was happy to do so and I carefully planned to park at the large teaching hospital at which I work, which also happens to be on the race route. About a year later, days before the popular Boston marathon, my colleagues and I published a study which demonstrated that mortality of patients hospitalised with cardiac arrest and acute myocardial infarction increases by nearly 15% on dates of major US marathons. We showed that emergency transport delays were the likely explanation. The discussion about how patients get to hospital had got me thinking. It might be because I am a good listener, but another possibility is that ideas come to people who are ready to receive them. As researchers, we spend years learning various methodologies to conduct scientific research. But amidst the many classes and hours devoted to learning how to solve scientific problems, no class or formalised approach exists that teaches us how to conceive the most interesting of those problems. We also know very little about the process by which interesting ideas are generated. In this research paper in the Christmas issue of The BMJ, my colleagues and I report on patterns of golfing among American physicians. We linked data from a widely used database of golf scores to information on American doctors. We found that surgeons play the most golf and are also the best at it. Men also seem to spend an inordinate amount of time on the golf course compared with women, despite evidence that male physicians spend almost two fewer hours each day on household responsibilities, even among dual physician couples who report similar office hours. Perhaps more important than the quirky results of this study is how this question—which I will be first to acknowledge is unimportant but interesting—came to be. Each week, students and colleagues with whom I work meet to discuss new ideas. The goal is not to have thought through the details of any specific idea or to see whether others have studied it; the goal is to produce several ideas with the expectation that 1 in 10 may be interesting enough to pursue. We sometimes glean information from “atypical” news sources like Yahoo! News, which can suggest interesting questions related to human behavior. For full disclosure, it was a Yahoo! News article nearly a decade ago that prompted my colleagues and I to study rates of sexually transmitted diseases among elderly users of erectile dysfunction drugs, which at the time were increasing for unknown reasons. The current golf study originated from a discussion of a related study of the financial performance chief executives and its association with the amount of time they spend on the golf course. The purpose of our “idea generation” sessions is to reinforce the primacy of the idea when conducting scientific research. The expectation is that most ideas, including and mostly my own, will either be uninteresting or unfeasible. But, just as is the model for successful technologies, a single interesting idea, if successful, can outweigh the costs of the many failures. To be sure, this approach to developing ideas leads to a “file drawer” problem. I am frequently asked about what studies my colleagues and I pursued that were never published. There are, unfortunately but expectedly, many. Do rates of hyperglycemia among children increase following Halloween? No. Does use of branded cardiovascular drugs increase immediately following international cardiology meetings, because of exposure of physicians to glitzy ads? No. Do couples who have daughters live longer than couples who have sons, because daughters are more likely to care for ailing parents? Also, no. Ultimately, the ability to create interesting and novel research is as important a skill as how to rigorously design a study and analyse its data correctly. The question is whether that skill can be taught and honed. I think so. 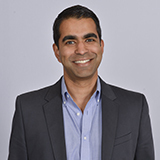 Anupam Jena is the Ruth L Newhouse associate professor of Health Care Policy at Harvard Medical School, physician at Massachusetts General Hospital, and faculty research fellow at the National Bureau of Economic Research. Twitter: @AnupamBJena. Matt Morgan: What can Bridget Jones do for medicine?